Coffee with its slightly acidic and caffeine taste can stimulate you to get your day going. It has become the most popular drink in the world, even beating out beer and whiskey. A cup of good coffee without milk or sugar willincrease your energy levels for a short time, along with better brain functions, metabolic rate, and even get your exercising abilities rolling. Coffee contains Vitamin B2, B5, Magnesium and Niacin along with Manganese and Potassium, and it seems drinkers of coffee have a lower risk of Alzheimers. 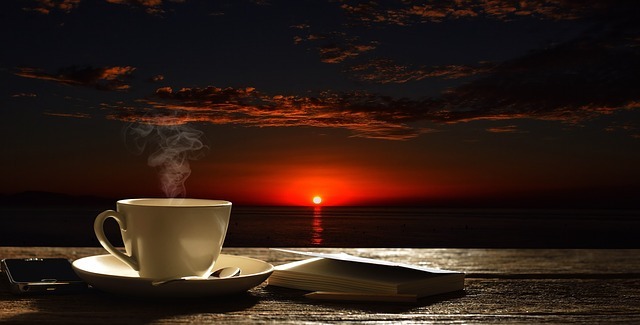 But as far as sleep goes, well coffee is a stimulant, so is not advisable to drink too much before bedtime or you will be watching the clock all night. Now how about an Irish Coffee recipe, and of course it has to have a wee bit of whiskey in it. Combine an ounce and a half of Irish whiskey with 1tsp. brown sugar into 6 ounces of hot coffee and give it a stir. Then put a little cool cream on the top without mixing it in, and your good to go. Here is a recipe called Mexican Dream, which is good to cool your thirst on a hot summer day. Combine 4 ounces of Kahlua coffee liqueur and 4 ounces of milk with 2 scoops of vanilla ice-cream. Pour it in your blender to mix it together then serve in a glass for a quick cool drink. Enjoy. Mix the butter and sugar and then add the eggs and mix well before adding the flour, salt, baking powder and baking soda, sour milk and vanilla. Mix the brown sugar and granulated sugar with the cinnamon and nuts. Then grease a pan about 9 inches square and place 1/2 the batter in the pan then add 1/2 the crumb mix before adding the rest of the batter and then the rest of the crumb mix on top. Bake at 325F, 160C, for about 45 minutes. Let cool and enjoy with a coffee anytime of the day. In northern Europe coffee parties are often held to entertain friends and guest, and with the host or hostess also serving pastries or other home made goodies such as the recipe above. In many countries around the world coffeehouses or small cafes have taken up the business of selling your favourite coffees. Here in Canada one that has become well known is Tim Hortons, where you can get a small breakfast, muffin, or donut along with your favourite coffee. If in a hurry most coffee shops have the order and drive through which is a very quick service. Most coffee houses also have free internet hook up, and often called internet cafes, so while having your morning coffee and donut, you can work on your website or read a few emails. Coffee has become the beverage that is consumed more then any other here in Canada. Coffee has created 6.2 billion dollars in sales at food services and grocery stores, and with 160,000 jobs created in the coffee shops and cafes, plus another 10,000 jobs in manufacturing,roasting and other independent coffee shops. There are over 30 countries that export coffee into Canada, with the market here growing and doing well. The green coffee beans shipped into Canada here are then roasted, which turns the beans a brown color, and brings out the fragrant oil in the beans that gives us the coffee flavour we love to drink. The reason for roasting the green beans here in Canada is that the freshly roasted beans should be consumed as quickly as possible after roasting. Once roasted they will be packed in air tight containers and sold to stores and coffee houses. A general recommendation for making a cup of coffee is two tablespoons for every 6 ounces of water, and to have the water heated to 195 to 205 degrees fahrenheit for the best brew. Coffee contains antioxidants, and research has found that coffee provides around 1300 mg of polyphenol antioxidants daily with moderate coffee drinking.Polyphenol is a substance found in different plants. The antioxidants found in coffee are 4 times higher then whats in green tea, cocoa, herbal tea, and red wine. A study from the University of British Columbia has found that the protective antioxidents occur when the coffee beans are roasted at high temperatures. So according to experts a couple of cups of coffee a day can be helpful, and as with everything practise moderation and dont consume 20 cup a day thinking more is better, as you might just end up overly excited about things. When milk is added to your coffee then you lose the effects of the anti-oxidants, and also adding sugar can make it a not so healthy drink. And always use a good quality coffee. If it is organic certified like the Arabica from Columbia, then you know it has high standards like many other countries that produce excellent quality coffee. With some people coffee can cause loss of sleep and anxiety, because of the caffeines reaction in your body, but it also increases the functions in your mind making you more alert. So coffee has some negatives depending on the person drinking it, but also has more positives even increasing life span for some, so as stated before, everything in moderation. 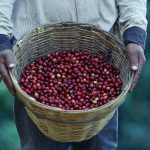 Everyone has there own taste preference when it comes to coffee, and just about all the coffee growing countries have there own particular taste to the coffee they grow, because of the soil and climate the coffee plants grow in. A couple examples are Columbian coffee described as having a sweet taste for some, and along with the organic coffee of Mexico being much the same. Costa Rica is described as spicy or having an unsweetened chocolate flavour. There are quite a few different flavours described to coffee from Bright, Dry, Sharp, Chocolaty, Fruity, Nutty,Spicy to name just a few of the many different flavours associated with coffee. Also if you hear of coffee Acidity, it is refering to the enjoyable taste sensations of the coffee when tasted. So a great cup of coffee is a combination of growers, professional tasters, and the roasting of the green beans to give you that great cup of coffee. The American roast is usually made to a medium brown, while a European roast can be a little darker and takes away the acidity flavour ending up with a rich sweetness that has some bitterness to it also. Cafe au Lait is a coffee drink that is a combination of 1/3 drip coffee to 2/3 hot milk and then topped up with froth. Caffee Latte is an Espresso with 3 times as much hot milk and then topped up with the froth. A Cappuccino is an Espresso drink topped with hot milk and the froth. Espresso coffee is made by forcing hot water through a fine mix of the ground coffee beans, and it usually ends up being thicker with the flavours being more noticeable or concentrated, and is used as a base for many of the other fancy mix of coffees. Macchiato coffee is an Espresso stained with a small amount of hot frothed milk. 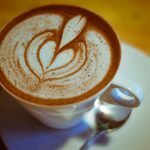 Mocha is also an Espresso coffee but with some chocolate in it. A Flat White is an Australian Espresso where the steamed milk or micrafoam is added over a single or double shot of Espresso. Caffe Americano is also an Espresso that is diluted with hot water, and can have a difference in strength depending on the number of shots of Espresso and water combinations. These are a few of the different versions of your favorite coffees, and as every ones taste are a little different, you will have to try them out to find which ones you like the best. Coffee beans will lose there quality after being exposed to air or moisture, so is best to keep them stored in tightly sealed packages or containers. One of the beat ways to get a fresh cup is to grind your beans when ever you need them, and keep the rest in air tight containers in a dry place at room temperatures. The coffee beans will stay at there best quality for about a month after roasting, so probably best not to buy too much at one time. Vacuum packed coffee has all the oxygen removed to keep your coffee fresh, and once opened it will be good for a period of 7 to 10 days. It is not recommended to store coffee beans in the freezer or fridge, as they do not get along well with different temperatures, moisture, and can pick up the odor of other foods stored around them. The freshness of your coffee beans should be of most importance when storing them at home, air tight containers recommended, and then grind them when needed to keep your brew fresh. 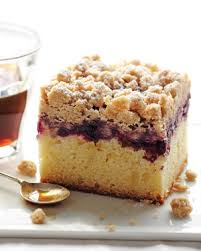 I hope the above article will give you a few ideas for your next coffee, and if you get a chance try out those recipes, Coffee Crumb cake is delicious. Any comments are always appreciated. You had some very interesting facts about coffee. We live about an hour away from Tim Hortons and when we pass by I love to have their iced coffee! I don’t have a coffee very often though although my husband has at least one coffee a day. Oh my, you live far from Tim Hortons, I live only 12 km away from it, I use to get a coffee from them once in a while, during Summer their Ice cap taste good. I would say I’m use to drink a latte every morning, in the afternoon I drink an American. I like to stop and visit some coffee shops and try their coffee to taste new flavors and the great coffee baristas can craft for us.